Part of a series that documents the challenges facing Latino students as they progress through the educational system. 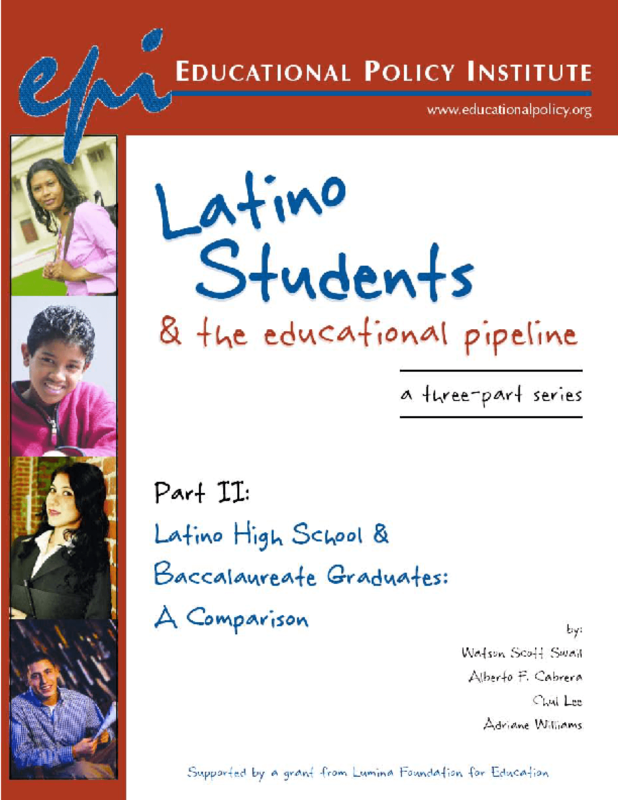 Examines the primary differences between Latino and white students for those who completed a BA and other levels of education. Copyright 2005 Educational Policy Institute.